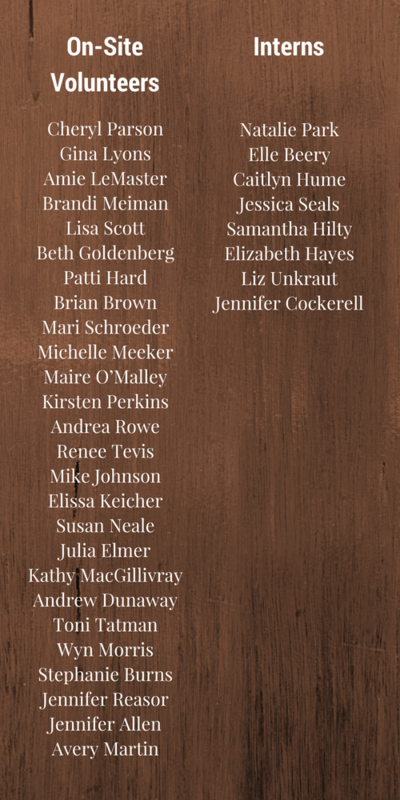 Thanksgiving is almost here, and what better time to think of all the amazing PRC volunteers and interns we are truly thankful for. This team of supporters helps us in a variety of ways – On-Site, Off-Site, and during our Annual Member Event. 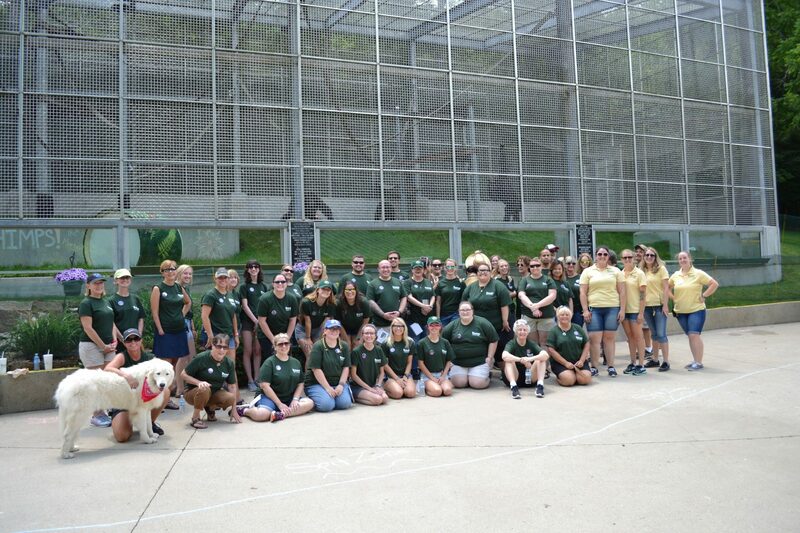 We are so grateful for their generous devotion and service to the PRC apes and monkeys. They give of their time and energy, and help the caregivers to provide a safe, enriching, and happy life to the primates all year round. 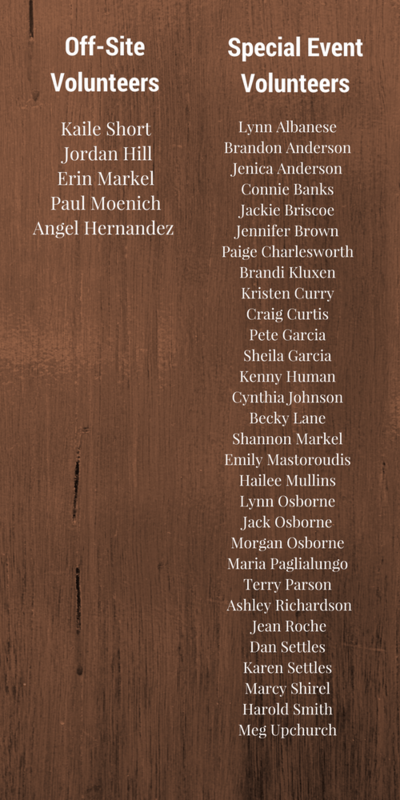 Below is a list of all Interns, On-Site Volunteers, Off-Site Volunteers, and Special Event Volunteers who have donated their time to the sanctuary in 2017. We thank each and every one of you for helping to make a difference in the primates’ lives. If you are interested in becoming a PRC Volunteer, visit our website and check out our volunteering options.